On the top of the stack were The Handmaid’s Tale and 1984, both popular choices following the inauguration of the current administration. Nonfiction dominated my To-Be-Read pile with The Glass Castle, White Trash: The 400-Year Untold History of Class in America, Hillbilly Elegy, and Columbine. Although these next two are fiction, their subjects are very real: Truly Madly Guilty and The Japanese Lover. The Handmaid’s Tale struck a nerve. Set in the near future, a new government has risen up, set on cleaning up the nation of its sinfulness and embracing its biblical roots. There is much more to be said, but it can best be summed up as this: it is every modern woman’s worse nightmare, wrapped up in a paperback. Nineteen Eighty-Four’s themes of Big Brother and its advanced technology of telescreens aren’t too far off of the invasion of privacy devices already in our homes, and as a result, this book wasn’t as shocking to me as I anticipated. The Glass Castle, White Trash: The 400-Year Untold History of Class in America and Hillbilly Elegy all overlap each other with similar themes of economic struggle of the lower class, beginning with the history of America in White Trash and following the long-term effects of our mishmash country. Both White Trash and Hillbilly Elegy opened my eyes to some of the challenges faced by those living in Appalachia and the South, far removed from my world in the Golden State. All three were hard to digest at times. I had to put down The Glass Castle several times because the stories of neglect frightened me. I traveled to Colorado to learn the inner-workings of two frustrated teens in Columbine. Columbine’s detailed accounts of the shootings and police responsiveness were depressing. I felt like I needed a cute cozy and a warm cup of hot chocolate to soothe my nerves. I knew I was setting myself up for a good cry when I started The Japanese Lover, but I was ready to open my heart to a tale of love. Although it delivered on the romantic front, it was balanced by the details of Japanese internment camps in the U.S., poverty in Moldova, and long-lasting results of World War Two. Truly Madly Guilty got in my head about the complexities of being a good friend and the responsibilities of marriage. If you choose to read this one, get ready to feel the characters’ blame and guilt. All of these were wonderful books that left their mark on me, but sometimes it’s just too much. Even bits of The Japanese Lover were too real for me. Reading is usually my pastime for relaxing and getting away from the real world. What I have learned from diving into these memoirs and examinations of history and current events is that I need a break from all the nonfiction. I need a chance to read about some small town with cozy cat companions helping to solve crimes. 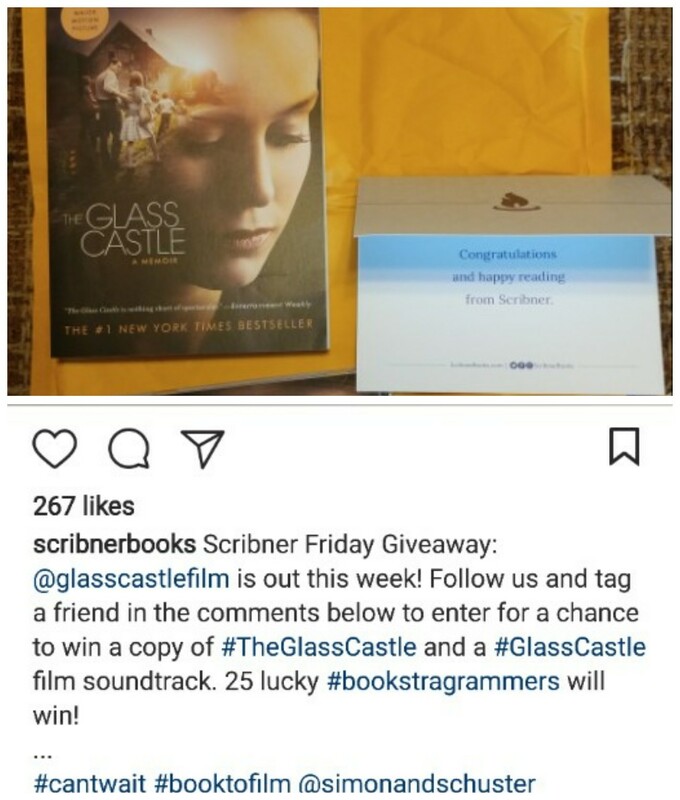 I was very excited to win a copy of The Glass Castle, and pleasantly surprised that the package included the soundtrack.